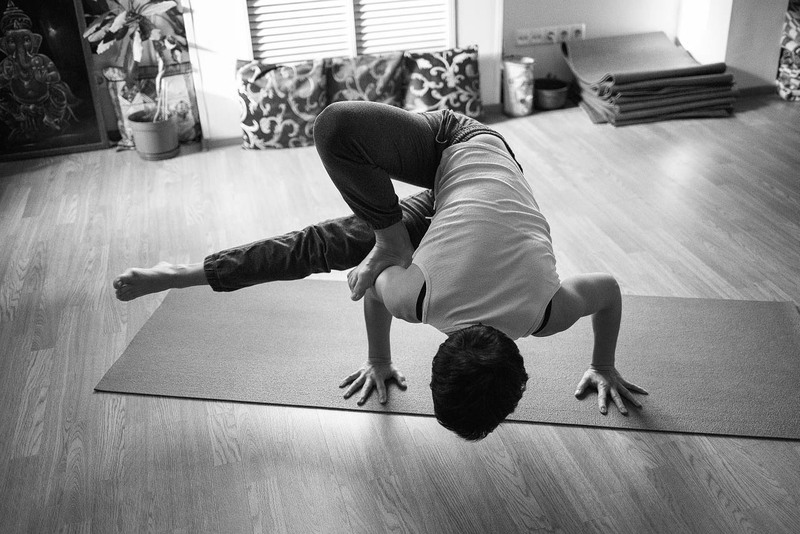 For committed students who have already attained 200-hr yoga teacher training, BambooMoves offers a unique and highly selective yoga apprenticeship program. BambooMoves apprenticeships are ideal for individuals looking to become better teachers by first learning to be good students. Pair with a BambooMoves master teacher for a three month journey of study, dialogue, and learning by doing. 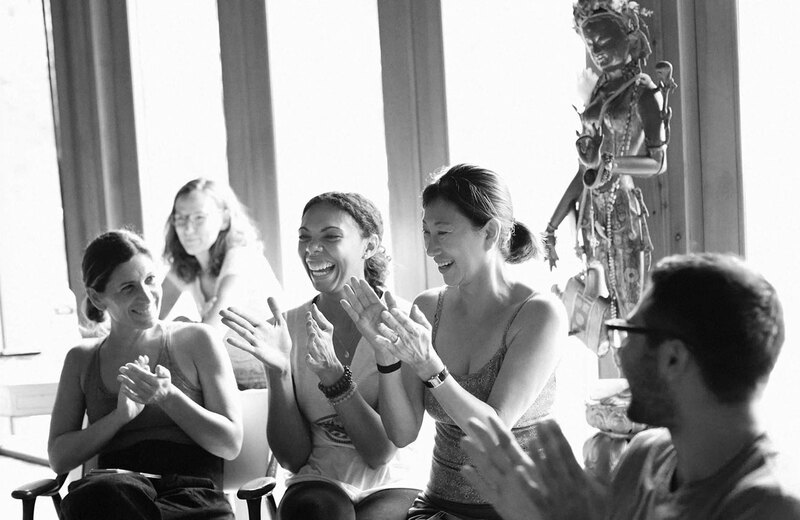 We only offer three apprenticeship spots each year, so don’t miss your opportunity to sit close to a seasoned yoga teacher and to listen, learn, and grow your practice in this unique way. All apprenticeships are custom-tailored to the needs and desires of the student, with the master teacher guiding and supporting the apprentice as they grow into the role of yoga teacher. Committing to the three-month program allows the apprentice to mature their practice organically, taking regular classes as a student and observe-assisting in others. Ongoing discussions with the master teacher on sequencing, adjustments, prop usage, and more, combined with teaching opportunities for the apprentice in live classes provides natural learning environment that traditional yoga teacher training courses cannot match. $2000 per three month session. 3-month unlimited class pass included in tuition. Applicants must have completed at least 200 hours of yoga teacher training – whether at BambooMoves or elsewhere – and be willing to provide their yoga teacher training certificate upon request. The participant is generally expected to have logged at least 50 hours of teaching experience before beginning the program. The student must complete the apprenticeship program within the agreed-upon time period. Apprenticeships can be arranged at any BambooMoves location, provided there is a master teacher available available to mentor at that studio. To apply to become an apprentice at BambooMoves, please fill out the contact form on this site indicating your interest in the program. Alternatively, you can send an email to info@bamboomoves.com. Please provide a brief statement about yourself, your yoga background, your preferred program dates, and what you are hoping to gain from an apprenticeship. This does not need to be a long statement, merely the start of a conversation between you and BambooMoves. BambooMoves staff will generally respond to your inquiry within two business days, at which point you will begin a deeper conversation where BambooMoves can answer any questions you have about the program, logistics, and more. BambooMoves will generally take this opportunity to ask questions about your teaching experience, goals for the program, and more in order to gauge your suitability for placement. What is the cost for the apprenticeship program? Tuition for the three-month program is $2000 and includes unlimited yoga classes at BambooMoves for the duration of the course. Tuition is payable online and must be received in full before the student begins the program. Who is the BambooMoves apprentice program for? Participants must have already attained their 200-hour yoga teacher certification, but beyond that, the BambooMoves apprenticeship is for anyone looking to deepen their practice. Perhaps you just completed your 200-hour training and aren’t quite ready to teach yet. Or maybe you were certified years ago but are not out of practice and a bit nervous to teach. Apprenticing with one of our master teachers is a great way to gain confidence in your practice and your teaching ability. Maybe you have been teaching for years and need more inspiration, or maybe you’re simply looking to gain confidence and strength in specific areas of your practice. Do you just want to shake things up a bit? BambooMoves has mentored apprentices all over the spectrum above, and it has continually proven a powerful learning and leading experience for all who participated.